We’ve had a great summer. Well, not really, but let’s just say that summer is on its way out and fall will soon turn into winter. Now, this isn’t your first winter, so you are probably not too worried about the incoming snow, cold, and ice. That said, it’s still a good time to make sure your Ford is ready for that first snowstorm. For starters, you will beat the last-minute crowds, and secondly you’ll be ready if that storm should come sooner than expected. Here are a few tips that are sure to get your Ford ready for winter, and also make sure that you get to next spring with a smile on your face. 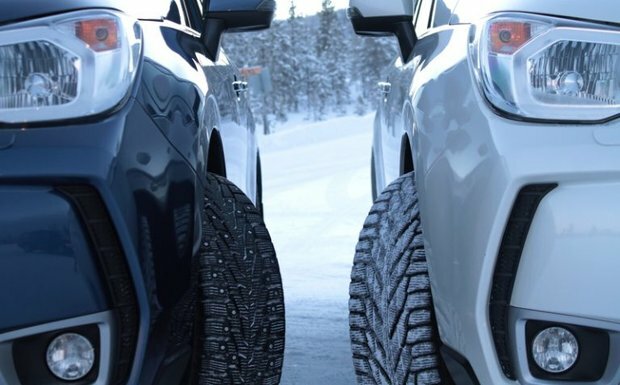 Your winter tires are the only point of contact between your vehicle and the icy, snowy road below. It is therefore very important that your winter tires be in good condition, and also that you make sure they are installed on your vehicle before the first snowfall. So, if you haven’t done it yet, book your appointment to get your winter tires put on your vehicle. Next, check to make sure your tires are in good condition, and that they can survive another full winter season. If you don’t think they will, it’s better to buy a new set right away. You want your battery to be strong enough to start your vehicle on even the coldest January morning. That’s why you want to make sure it is in good condition before the arrival of winter. This is also a good time to get your oil changed, and to have your vehicle inspected. This is a simple tip. You always want to make sure you have enough windshield washer fluid, and because we never have enough windshield washer fluid in winter, make sure you have an extra gallon in the vehicle at all times. We all know how that wet, heavy snow can quickly make driving in winter a nightmare. Well, it’s even worse if it is sticking to our wiper blades and we can’t see anything. Same goes for all that dirt and sand that gets kicked onto our windshield when we are driving on the highway and even in the city. The best way to ensure perfect visibility in these conditions is to install winter wiper blades on your vehicle. Although we never hope to get stranded in winter, it is always a possibility. It is therefore important to be ready. Make sure you have a shovel, salt, warm clothes, a cellphone charger, flares, booster cables, and some food and water in your vehicle at all times. 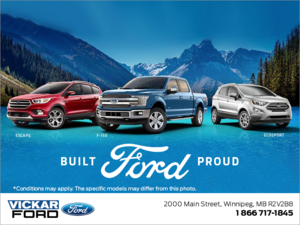 To learn more, contact us today at Vickar Ford!